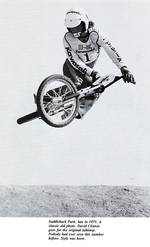 Said to be our sports first “superstar,” there are numerous reasons Dave holds that title - including being the very first inductee into the BMX Hall of Fame. 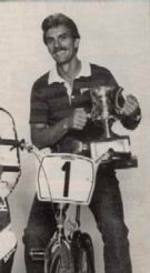 He is also credited with doing the very first tabletop - which was captured on film by Windy Osborn for the June 1974 cover of Bicycle Motocross news. 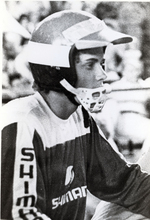 John was one of the first BMX superstars, earning the NBA No.1 plate in 1976. 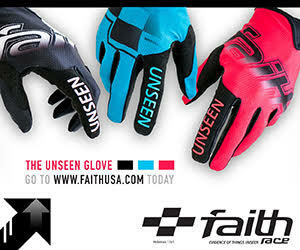 He is said to be one of the first riders to win by sheer smoothness and style, and is still admired in awe by all old school BMX racers who lost to him back in the day.